Someday, you suddenly want to change your hair color. Don’t worry what happens if you put brown dye on purple hair, cos this is just a perfect combination. Purple hair is not a type of natural hair. You will have a dark purple color on your hair when you go to the hair salon and ask the hairdresser to help you dye your hair purple. You can also get purple hair when you dye your hair pink. After some days, when the color is faded out, the original pink turns out to be purple. But what if you don’t like the color or the purple hair does not suit you anymore? What happens if you put brown dye on purple hair because you suddenly want to try on brown color? You could wear our hair extension, or try dyeing your hair again. How have you dyed your hair purple? 1 How have you dyed your hair purple? 2 Why do you want to dye it back to brown? 3 How can you go from purple hair to brown hair? To have purple hair, you can dye it in the hair salon with the help of a professional hairdresser, or you can also dye it at home. Before dying, you have to choose the shade of purple color to put on the hair. There are three options for purple dye, just like other colors. 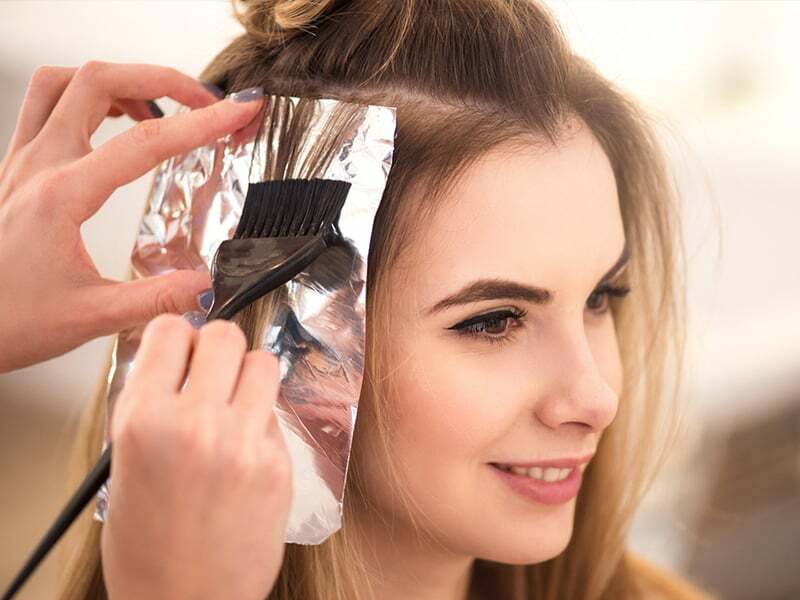 The options consist of temporary dye, which only lasts for 1 -3 washes; semi-permanent dye, which lasts for 3-6 washes; and permanent dye, which will stay longer on your hair and may never fade out. The only way to make the color of permanent dye disappear is to wait until your hair grows and cut the colored part. Otherwise, you need to put on another permanent dye overlapping the purple base. 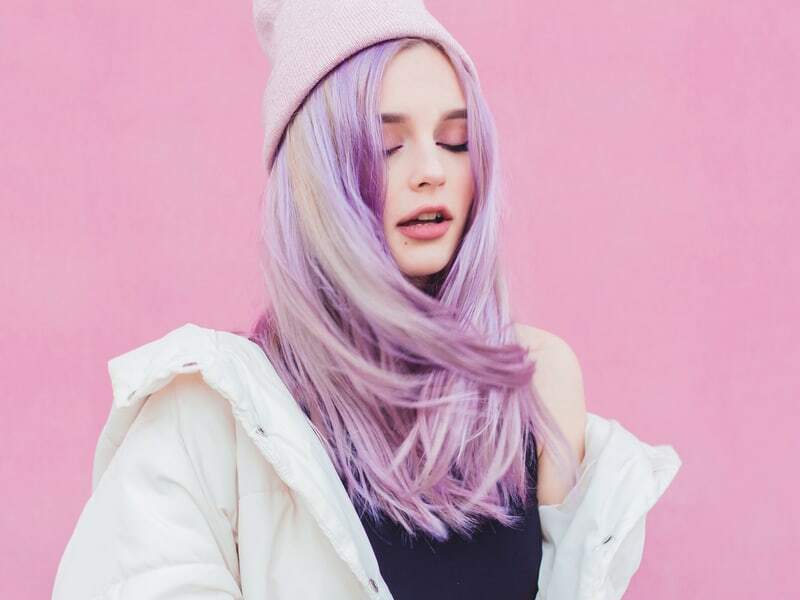 You can dye your hair purple directly without bleaching if your hair color is bright already. However, if your hair color is originally dark, you have to bleach your hair to lighten it before dying purple. After that, you will need to choose a shade and make a suitable mixture of purple dye. Why do you want to dye it back to brown? There are tremendous reasons for the sudden idea. After you get out of the hair salon with your new purple hair, you feel the color does not suit your skin tone very much. Your friends tell you that your hair color is a disaster. In other cases, the dark purple makes people stare at you and give you an awkward look. Or you are recruited for a job with which you cannot dye your hair a vibrant color like purple, and so forth. Anyway, all of these might be the reason why you have to decide to dye your hair back to brown. But the question is, what happens if you put brown dye on purple hair? How can you do it at home and cause no further damage to your hair? Do you need to bleach your hair again? How can you take care of it after the second dye? There are so many questions you need to answer when making the decision. But first, let’s get to know some information about brown dye. Basically, it is a color dye which is quite similar to cocoa beans. This color dye is a type of quasi-primary and becomes a general choice for a lot of people. Because the color is suitable for almost all skin tones and upgrades the look effectively, everyone should try this color at least once throughout their lives. How can you go from purple hair to brown hair? The easiest and quickest way to get a brown hair color from dark purple hair is going to a professional. They will help you to finish in the shortest time, and all you have to do is relax and wait until it is done. However, money is quite a problem. A professional hairdresser will ask you for about $150 to dye your hair from dark purple to brown. It is not a number that the majority of us can afford. Of course, going to the salon is not the only way. If you are not ready to pay a lot of money for dying your hair, there are some other ways though. You can do it at home, making the hair dye and change your hair color to brown by yourself. Can you put brown dye on purple hair? Definitely yes! First of all, you need to go to the store to choose a good hair brown dye that matches your need. 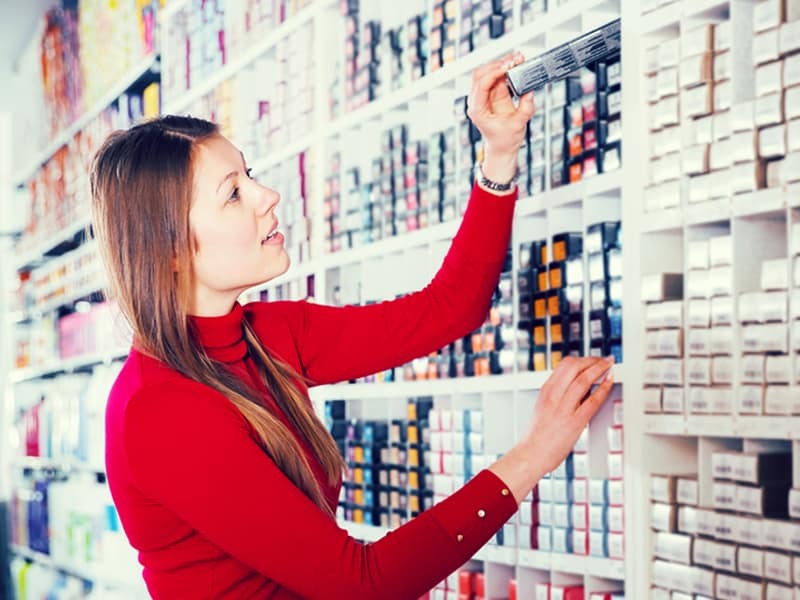 L’Oreal Paris is famous for hair dye products, so it is not a bad idea to choose a color dye that belongs to this brand. You may not want to make a temporary brown hair, thus choose the permanent type. A hair dye box will cost from 8 to 10 dollars depending on where you go. Before you go to dye your hair brown, you need to wait for some week after getting the purple hair, at least. The period of time will somewhat let the purple shade fade out of your hair as much as possible. Not to mention the temporary hair dye, but if you use permanent hair dye, you need to spend some weeks for the purple color fade out to some extent, so the brown hair dye can be well put on. The ashy brown color is not a good choice for hair dye. Instead, a warmer brown color works better for your dark purple hair if you do not want your hair turns green-gray. If you are not an experienced person, it is better to make a test on a strand of the hair instead of the whole head. You must feel disappointed at first as the hair color turns green instead of brown after about 5 minutes. However, if you let it sit for a full 25 minutes, the brown color appears. After some strand tests on some parts of your hair and you get a good result, you can apply on the whole head. So what happens if you put brown dye on purple hair at home? If you are lucky enough, you will have a natural healthy brown hairstyle. But if you are not careful in every step, it can turn out to be a disaster. Your hair can be green-grey or some other colors but not brown. 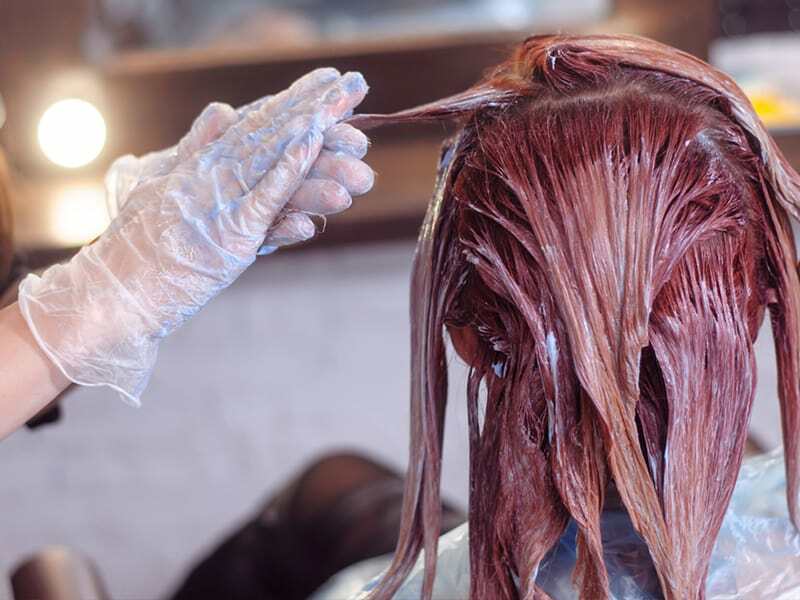 So make sure you do some strand tests first and apply the hair dye evenly on your whole head. LaylaHair wish you good luck! Of course, if you are too worry about the dyeing effect, buy hair extensions instead. 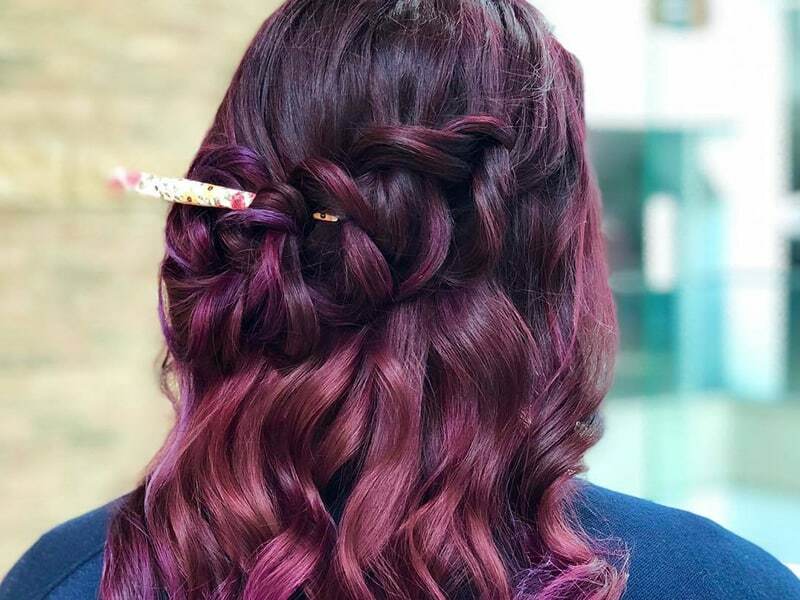 You will get the perfect brown purple hair quickly and flawlessly!